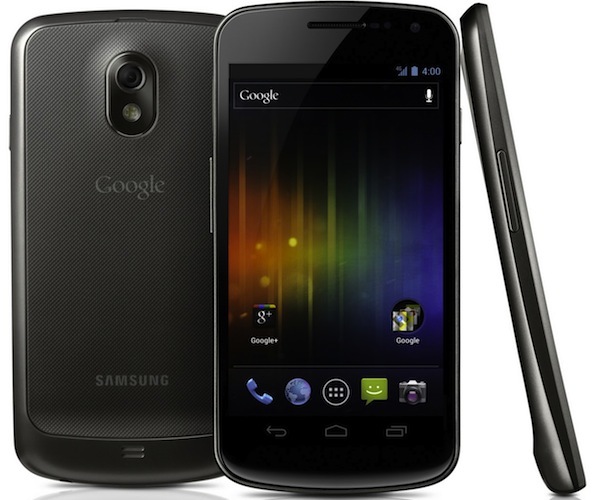 The Samsung Galaxy Nexus may be a smartphone that people have not heard about with the big commercials for Samsung Galaxy S3 and HTC One X. 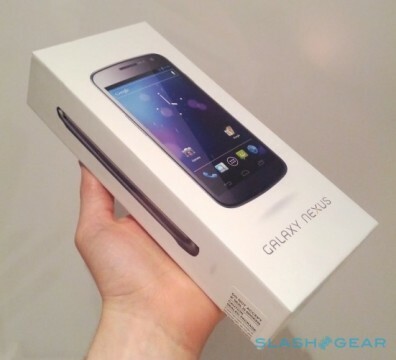 After watching Google I/O and learning that the Galaxy Nexus will be getting Jelly Bean I decided to order one. I just recieved my new Galaxy Nexus and this is my first impressions of the phone. I ordered my Galaxy Nexus from the Google play store and it is an unlocked HSPA+ phone that will work on any GSM carriers like AT&T or T-mobile. The first thing I noticed about the Galaxy Nexus was the display. The stunning 4.65 inch Super AMOLED display makes using the phone so much better since the apps and videos are much clearer than my old Samsung Galaxy S2. This phone has several options for unlocking you can use Face unlock which works pretty well or you can have a pattern or pin to unlock the phone. The Galaxy Nexus doesn’t have any physical buttons which leaves more room on the phone for the screen. The side buttons are not up towards the top of the phone but instead they are in the middle which makes using them easier and less of a stretch for the fingers to reach. The Galaxy Nexus comes with Ice Cream Sandwich 4.04 Android newest OS and has many cool features that improve the android experience. One of the big sells for this phone is that it is a pure android phone, meaning that when you buy a phone it comes with a ton of apps that you don’t want or need. These apps are called bloatware because they waste space on the phone and generally slow it down and because the manufacturers want the apps on the phone you can’t delete them. But the Galaxy Nexus only has what Google wants the phone to have which means the phone is faster. Also because this is Google’s phone the Galaxy Nexus will get updates as soon as Google releases them without having to wait for manufacturers to release theirs. Jelly Bean which is the next release of Android is being released from Google soon and the Galaxy Nexus will be the first phone to get it through OTA and unless you put a custom rom on your phone you will have to wait for months for Jelly Bean. When I first started my Galaxy Nexus there are many features that greatly improve the smartphone experience from Honeycomb. There are 3 buttons on the bottom of the screen at all times and the buttons are back, home, and other windows. The third is really cool the button will bring up a list of recently closed apps on the phone. Being able to switch back and forth between two apps is very helpful to me. The phone has a different lockscreen as well, the lockscreen lets you either open the camera, open google search, or unlock the phone which allows me to access the camera quickly or use google search without having to unlock the phone. When you open the app drawer you can access apps, widgets, and the play store from one place. The main downside for the Galaxy Nexus is that there is no sd card slot so you are stuck with either 16gbs or 32gbs phone space. After saying that unless you have a ton of music or videos you shouldn’t run into a problem of no free space. Google is trying to get Android users to have all their media on Google Play and streaming it to your device. Another downside to the phone is that the camera is very disappointing. The camera has some great features like panoramic and fast shooting but the camera hardware just isn’t as nice as other smartphone cameras on the market. Other than the amazing display the phones comes with a 1.2 GHZ dual core processor with 1gb of ram and if you buy from Google 16gb of ram. The phone has a beautiful 1280×720 resolution pentile display. The 1,850mAh battery give the phone a long battery life, the longest mine has gone is around 23 hours which is a huge improvement over my old Samsung Galaxy S 2. The phone has NFC (Near Field Communication) which works with Android beam so you can transfer contacts to another NFC device, or use NFC tags to automate activities.Even though the phone is pretty big it fits in my hand really well and is easy to hold. The battery cover on the phone is not smooth and has a mesh feel which makes it easier to hold on to without worrying about dropping it. I really like the overall quickness you get by using an ICS phone. The three onscreen buttons including recent apps is a great feature on this phone. I also like the improved lockscreen so if you are in a rush you can go directly into camera or google search. The new app drawer with access to widgets and play store is a great addition to have on an Android phone. The phone’s display is a huge plus and anyone that picks it up will notice a difference over there other phone. The crazy battery life on the phone is something that really surprised me and it will take awhile for me to get used to not having to charge my phone every couple of hours. After getting my new phone and having a chance to use it for awhile I have to say that it has exceeded my expectations. A phone that has so many nice features and a great display that is running the latest Android OS for only $329 from the play seems like a great deal to me. If you are looking into getting a new phone but don’t want to spend $700 for the Samsung Galaxy S 3 than the Galaxy Nexus is a great phone and I recommend buying it.